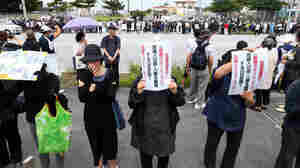 May 25, 2016  Following a gruesome killing, allegedly by a former Marine, controversy over the presence of American troops on Okinawa is adding another layer to Obama's historic trip this week. 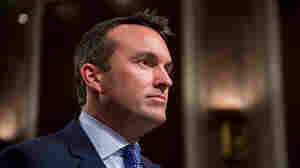 May 17, 2016  Eight months after President Obama nominated Fanning to the position of Army secretary, the Senate confirmed the appointment. 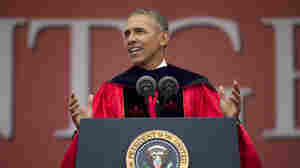 May 15, 2016  "Ignorance is not a virtue," the president told Rutgers University's class of 2016, in an apparent critique of Donald Trump. He called for embracing an interconnected world over building walls. May 7, 2016  In his impassioned call for civic engagement, Obama says that race relations have improved but there's more to be done. 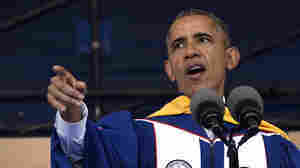 He advises the historically black university's graduates on shaping the future. May 5, 2016  Capt. Nathan Michael Smith, who is currently on active duty in Kuwait, says he is concerned that an "illegal" war "forces him to violate his oath to 'preserve, protect and defend' the Constitution." May 4, 2016  The president told an energetic audience he "will not rest" until the city's water is safe to drink. 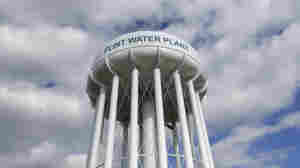 A federal state of emergency has been declared as a result of lead leaching into Flint's water. 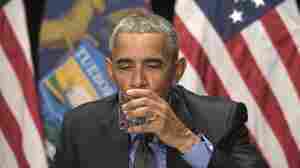 Amid Water Crisis, Obama Prepares To Visit Flint, Mich.
May 4, 2016  He's there to check in on federal efforts to help the city's residents after dangerous levels of lead in tap water were discovered last year. 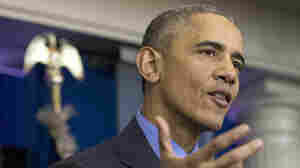 Obama Responds To 8-Year-Old's Email, Says He'll Visit Flint, Mich.
April 27, 2016  The president says he hopes to meet Mari Copeny on May 4 when he goes to Flint. She wrote to tell him about her activism on behalf of children affected by the city's contaminated water. 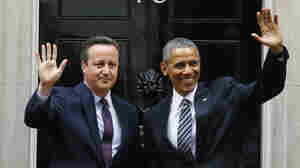 April 22, 2016  In London Friday, the president also reassured Brits that the residents of North Carolina are "wonderful people" and said any British travelers would be treated with "extraordinary hospitality." 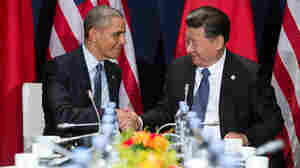 Can The U.S. And China Keep Their Climate Pledges? 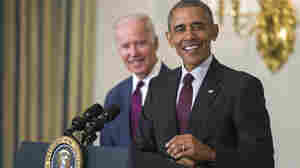 April 21, 2016  The two nations topping the world in greenhouse gas emissions agreed at the Paris talks to cut way back. 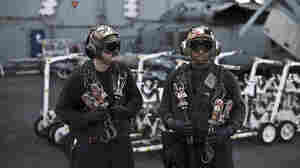 But critics have stalled a key part of the U.S. plan, and China's good start may be fragile. 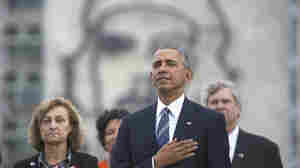 April 3, 2016  How much can a president take credit for job growth in the private sector? 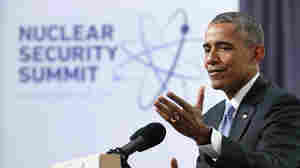 April 1, 2016  President Obama said Donald Trump's statements on nuclear issues show he "doesn't know much about foreign policy, or nuclear policy, or the Korean Peninsula, or the world generally."